Worship times are 8:00 am and 10:00 a.m. Rite I Holy Eucharist is celebrated at the 8 o’clock service and Rite II is celebrated at the 10 o’clock service with Choir and Music. There is coffee and fellowship following the 10:00 am service. Everyone is welcome to worship and join into the fellowship. On certain Sundays there is Christian Formation during the Coffee Hour time. In Christian Formation we discuss topics of Scripture or of Faith. Literally means a "thanksgiving" and comes from the Greek. The word refers to the prayer of thanksgiving that is the center of our worship. 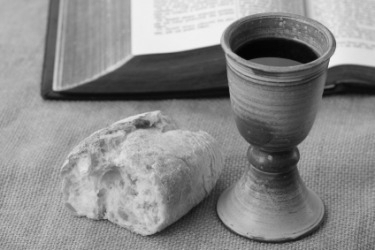 In the current usage of the Episcopal Church Eucharist refers to the entire Communion service. According to the current prayer book, the Eucharist is intended to be the principal service on a Sunday. All Baptized Christians are welcome to receive the Lord's Meal at our Altar! Gluten Free wafers are now available at the altar. If you need to have a gluten free wafer please let the priest know. A portion of the Book of Common Prayer which contains worship services using the traditional worship language of the Church as used from the 1600's until 1976. 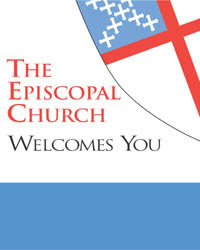 Rite I liturgies in the Episcopal Church is based on an older English language form. At present time, the service is spoken and has a contemplative nature where worshipers can participate through spoken responses and prayers. There is no music at this service. 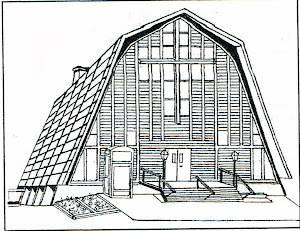 A portion of the Book of Common Prayer containing worship services which use more modern language and place importance on a different theological emphasis than traditional Episcopal worship. This service is the most festive of the celebratory services held each Sunday with worshipers joining in the singing of hymns, sung responses and prayers. It is also the largest gathering and reflects the diversity of the church family. Rite II is the liturgy that is used at this service. Rite II uses wording that is in contemporary or every day English. The choir leads the sung portions of the service which include hymns, a psalm and an offertory anthem. Rite II has the greatest flexibility and the greatest number of options for worship. Healing prayers with the laying on of hands is an on going ministry. As Jesus and his Disciples healed the sick we continue that historic ministry in our regular worship life and with special services. Monthly special services of Healing and Laying on of Hands are conducted on the fourth Sunday of the Month at both services. The healing mission of the Church is an adjunct to Medicine to help the individual grow and be well in body, mind, and spirit. The Priest will also anoint you with oil on your request. The use of oil in healing is also a very ancient practice. Healing is not limited to the Priests of the church, so All Saints' has lay healing companions. They minister with the Priest on occasion and conduct the Healing Prayers on their own on occasion. frailty of our flesh know God's healing and resurrecting power. 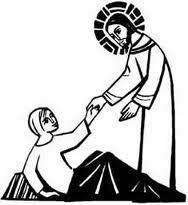 The priest or Lay Ministers will visit in the home, hospital or Nursing home as needed. Please contact the Priest for more information and for scheduling of a visit. This is a term that is often used to refer to Adult Christian Education. At All Saint's this can take the form of a special presentation, or series of presentations or an organized (occasionally spontaneous) discussion of the Sermon. As we grow in Faith it is important to become more intentional in studying and understanding the basis of that faith. 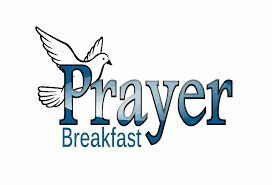 held on a Friday Morning at 7:30 am weekly during Lent. Please check the schedule in the Sunday Bulletin for exact schedule. Occasionally, these Breakfasts are held at other times. 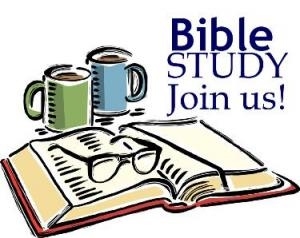 We have structured Bible Related studies over the Summer months usually spaced at every other week and at other times of the year. These studies vary. We have studied Modern Day Saints, The ministry of St. Paul and Various Prophets, Kings, Martyrs and Widows. We have had studies in the Epiphany Season and always some kind of Lenten Study. Consider joining us.